Dr. Jane M Fox graduated from the University of Illinois College of Veterinary Medicine in 1993. 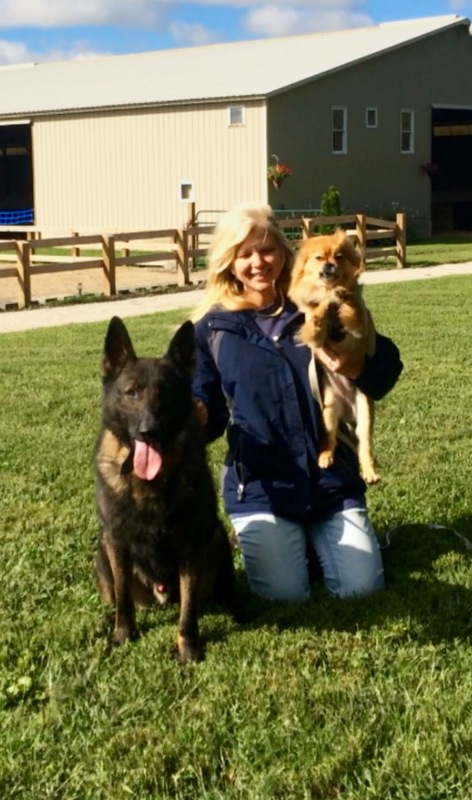 After working six years as a small animal vet in Champaign and neighboring communities, she purchased Hill Animal Care in Mahomet, IL in 1999. Jane has one son, Jared Hill, who attends the University of Iowa majoring in Mechanical Engineering. She also has three dogs and horses. Her hobbies are running, reading and horseback riding. She is serving her second three year term on the board at the Champaign County Humane Society. Kirby has been with Hill Animal Care for six and a half years. She manages the practice, which includes supervising and training staff, purchasing inventory, advertising and marketing, addressing client concerns and all other business operations. She has worked in the veterinary field for about nine years and loves working with people and their pets. On her time off she enjoys riding her horses, spending time with her dogs, her two kids and maintaining her house in the country.